In 2003 to commemorate the 21st Birthday of HRH Prince William of Wales, the Royal Mint, on behalf of Guernsey issued a very limited edition £5 Silver Proof Coin. 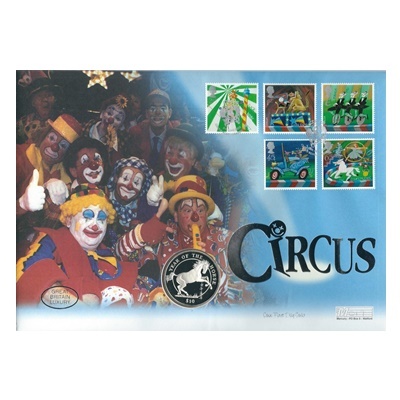 The reverse depicts a portrait of Prince William and his Coat of Arms. The obverse is a portrait of Queen Elizabeth II. 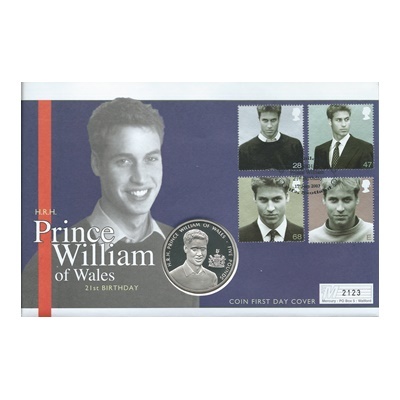 The cover features a 2003 Royal Mint Silver Proof Five Pound coin and is complemented with four Royal Mail stamps, each depicting an image of Prince William. Postmarked 17th June 2003 - St Andrews, HRH Prince William 21st Birthday, Fife, Scotland.